“Northeast India, connected by a 22 km-corridor to mainland India, has always suffered due to its geographical isolation. The Indian ambassador lighting the lamp to inaugurate the festival. 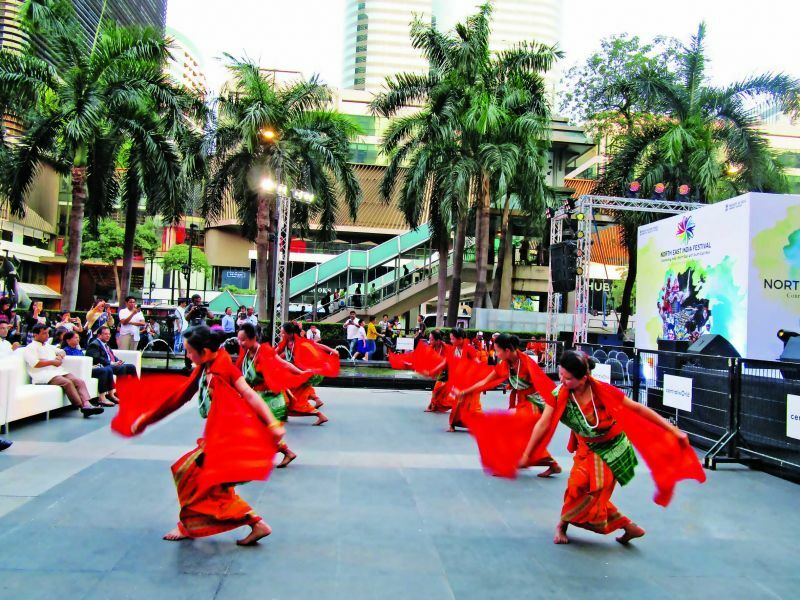 A mega “Northeast India Festival”, comprising of trade, tourism, culture, academics and fashion was held this weekend in Bangkok, the first of its kind outside India. Chief organiser Shyamkanu Mahanta, who has held similar festivals in Delhi, informed that Prime Minister Narendra Modi’s “Act East” policy had prompted him to undertake this mega Northeast India Festival, outside India. More more than 500 officials from Northeast Indian governments had flown down to Bangkok for the mega event. These included bureaucrats, MPS, tourism heads, entrepreneurs, academics, chefs and artistes. “Northeast India, connected by a 22 km-corridor to mainland India, has always suffered due to its geographical isolation. But opening up Southeast Asia through Northeast India, is full of promise”, he stated. With the Northeast region sharing a common border with Southeast Asian countries like Bhutan, Thailand and Burma, the festival was an important event, especially as Thailand is chairman of the Asean this year. The 1582 km-long Trilateral Highway, from Manipur to Burma and Maesot in Thailand, to be ready next year, was often referred to in the discussions, as it was expected to make Northeast India, “the hub of Southeast Asia”. 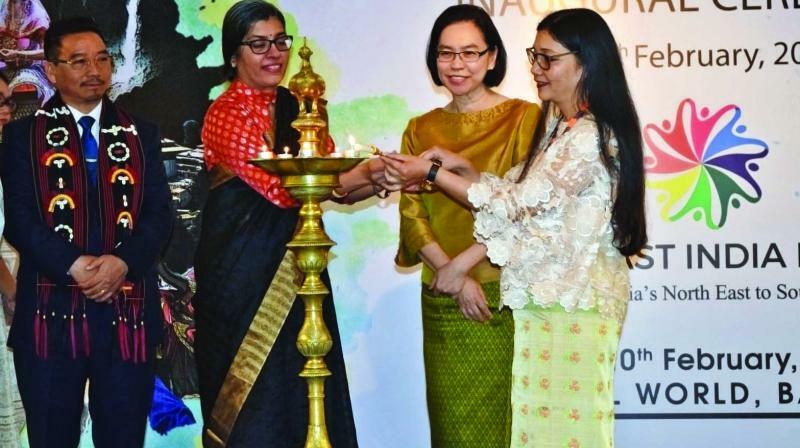 Thai deputy commerce minister Chutima Bunyapraphasara inaugurated the “Northeast India Festival,” speaking of her good impressions of Assam during a business trip, and informing that she would be taking a trade delegation there in May. The highlight of the Northeast India Festival in Bangkok were two important and well-attended seminars, aimed at increasing bilateral trade and tourism. The Trade and Investment Seminar attracted as many as 100 participants. The Northeast Indian representatives spoke of the abundant natural resources available in their states, for which they required developmental support as also investments — bamboo, limestone, rubber, textiles, medicinal plants, construction, pharmaceuticals, hydro power, food processing, flowers and fruits, oil and gas and hotels and spas. “The market is big, the price is competitive, the compensation is the volume”, she declared. Meanwhile, the Tourism Seminar was attended by more than 100 tour operators from Thailand, and 40 from Northeast India. The latter’s delegation was made up of the top officials from the tourism sector, including tourism heads, bureaucrats, MPs and advisers to the government. The high-level officials enumerated the specialties of each Northeastern Indian state — rich fauna and flora, wildlife sanctuaries, trekking and adventure trails, Unesco heritage sites, cultural festivals, ecstasy and rural tourism. With Spice Jet announcing a direct two-hour flight from Bangkok to Gauhati in March, the tourism potential of the region received a big boost. The GM of the airline, Ajaykumar Gupta was proud that the flight would accentuate bilateral trade and tourism with Thailand. The People to People Exchange event of the festival was attended by a galaxy of top scholars, academics and researchers from both countries. There were excellent presentations about the huge “Thai” connection with the Northeast Indian region, through the large number of “Tai” tribes living there. These were descendants of Thai migrants to Assam, as far back as the 11th century. It was fascinating to learn that the “Tai’s” language, script, customs, beliefs, rituals, festivals, food and cuisine closely resembled that of the “Thai” people in Thailand. In fact, the much-loved Thai Indophile Princess H.R.H. Mahachakri Sirindhorn had visited the Northeastern region to meet and interact with these Ahoum tribes. Among the well-known academics at the “People to People Exchange”, were Thai Ahoum scholar and Assam MP Lakhya Konwar, famed scholar who has written many books on the Tai Ahoum community, professor Chattip Nartsupha, ethnographer-researcher Dr Rajni Gogoi, who organised whole event, and the VC of Gauhati Varsity Dr Mridul Hazarika. The latter spoke of the “dedicated Southeast Asian department” in his varsity which offered “credits” to students from the Southeast Asian countries. In fact, a group of Thai students from the India Studies Centre of Thammasat Varsity were currently doing a semester there! 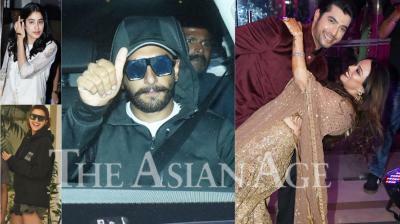 Meanwhile, a vibrant array of cultural performances were the ultimate icing to the festival cake. There was a grand display of old and new forms by the best artistes of the Northeast Indian region — folk dances from Nagaland and Manipur, famed rock bands Featherheads, Girish and the Chronicles, riveting rapper Rahul Rajkhowa, well-known Bollywood singer Zubeen Garg, and even an international DJ, Teri Miko. There were fashion shows by three top designers too, displaying a seamless amalgam of traditional textiles with modern designs. All the shows were held on the outside grounds of the popular Central World Mall, and attracted a mixed variety of audiences. 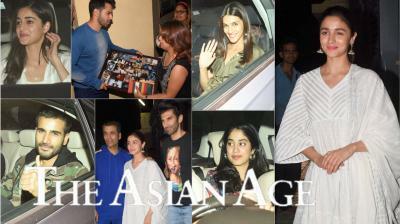 It was not easy to pack in so many high-quality artistes, with the best of acoustics in an open-air setting, but the artistes did their best to produce some vibrant shows. No mention was made of the political insurgency in the Northeast region, nor the troublesome Citizenship Bill. The newly-arrived Indian ambassador to Thailand, Suchitra Durai, orchestrated the mega festival in less than two months, and said she was proud it was a “resounding success”. Organiser Shyamkanu Mahanta admitted that he never expected to get such ‘‘astounding support’ and was now tempted to do Northeast Indian Festivals in neighbouring Southeast Asian countries like Singapore and Laos. Considering that this was an amazingly holistic festival which covered almost every aspect of the seven rich and diverse states of the Northeastern region, one must admit that the “Northeast India Festival” in Thailand was huge trailblazer indeed.